Switching to AT&T Prepaid has a pretty solid bonus to it right now – a free 2nd month of service. 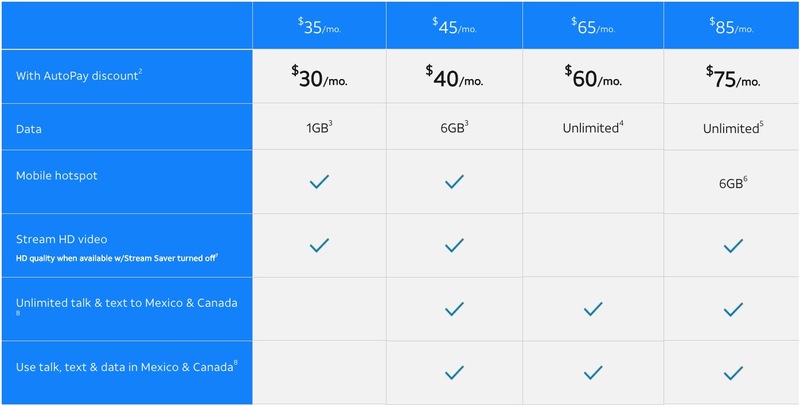 According to the terms, all you need to do is buy a SIM kit (they cost $1), toss the SIM in your own phone while choosing a $35, $45, $65, or $85 plan, and then sign up for autopay within the first 27 days. That’s really it. Well, you could buy a prepaid phone from them, but I wouldn’t necessarily recommend that. Their prepaid selection isn’t great, plus there are countless other unlocked phones that work on AT&T, like the Galaxy S9, Essential Phone, Moto X4, or OnePlus 5T, if it ever comes back in stock. I know Tim has been an AT&T Prepaid user for years and refuses to leave it, so they must be doing something right. I was also on it for years before switching, but do remember that their plans constantly improved without any price hikes. AT&T Prepaid has always been a solid value. Question of the Day: Best Android Phone You Ever Bought?